Not to be confused with University of Washington School of Law, Washington College of Law, or Washington University School of Law. 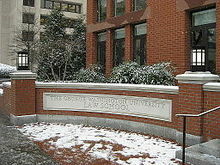 The George Washington University Law School (abbreviated as GW Law) is the law school of The George Washington University, in Washington, D.C. Founded in the 1820s, GW Law is the oldest law school in the national capital and one of the most prestigious law schools in the country. GW Law has offerings in business and finance law, environmental law, government procurement law, intellectual property law, international comparative law, litigation and dispute resolution, and national security and U.S. foreign relations law. GW Law is famous for its numerous prominent alumni, primarily within the fields of law and government, including the current U.S. Attorney General, foreign heads of state, judges of the International Court of Justice, ministers of foreign affairs, a Director-General of the World Intellectual Property Organization, Directors of the CIA, members of U.S. Congress, U.S. State Governors, 4 Directors of the FBI, and numerous Federal judges. The 2020 U.S. News & World Report University Rankings ranks GW Law as 5th best in the U.S. for its international law program, 5th best for intellectual law, 2nd best for part-time law, and as the 22nd best law school in the United States. The National Law Journal ranked GW Law 21st for law schools that sent the highest percentage of new graduates to NLJ 250 law firms, the largest and most prominent law practices in the U.S. The George Washington University Law School founded in the 1820s but closed in 1826 due to low enrollment. 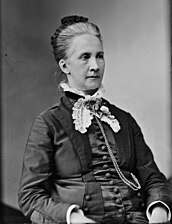 The law school's first two professors were William Cranch, chief justice of the Circuit Court for the District of Columbia and second reporter of the U.S. Supreme Court, and William Thomas Carroll, a descendant of Charles Carroll the Settler and Clerk of the U.S. Supreme Court from 1827 until his death in 1863. The law school was reestablished in 1865 and was the first law school in the District of Columbia. Law classes resumed in 1865 in the Old Trinity Episcopal Church, and the school graduated its first class of 60 students in 1867. The Master of Laws degree program was adopted by the school in 1897. In 1900, the school was one of the founding members of the Association of American Law Schools. In 1954, it merged with National University School of Law of Washington. 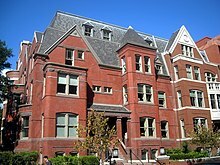 The law school operated under the name National Law Center for the 37 years from 1959 to 1996, when it was renamed the George Washington University Law School. Supreme Court Justices Clarence Thomas, William Strong, David J. Brewer, Willis Van Devanter and John Marshall Harlan were among those who served on its faculty. 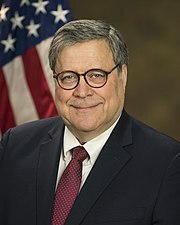 Chief Justice John Roberts, Justice Antonin Scalia, Justice Elena Kagan, Justice Sonia Sotomayor, and Justice Samuel Alito presided over its moot court in 2006, 2007, 2009, 2012, 2014, and 2016. GW Law has the oldest intellectual property program in the country, with alumni having written patents for some of the greatest technological achievements of the past 130 years—including the Wright brothers' flying machine, patented on May 22, 1906. The school was accredited by the American Bar Association in 1923 and was a charter member of the Association of American Law Schools. 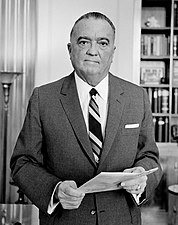 The National University School of Law was merged into the George Washington University School of Law in 1954. The school was founded in 1869. 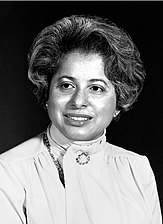 Many alumni served in prominent political and legal positions throughout the school's history. J.D. students are required to take courses on civil procedure, criminal law, constitutional law, contracts, introduction to advocacy, legal research and writing, professional responsibility and ethics, property, and torts. GW Law offers more than 275 elective courses each year. The school boasts particularly robust offerings in business and finance law, environmental law, government procurement law, intellectual property law, international comparative law, litigation and dispute resolution, and national security and U.S. foreign relations law. GW Law also offers numerous summer programs, including a joint program with the University of Oxford for the study of international human rights law at New College, Oxford each July. The school also offers Master of Laws (LL.M.) 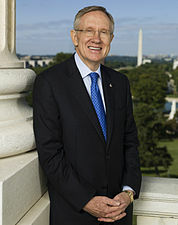 in Environmental Law, Business and Finance Law, International Environmental Law, Government Procurement and Environmental Law, Intellectual Property Law, International and Comparative Law, Government Procurement Law, Litigation and Dispute Resolution, and National Security and U.S. Foreign Relations Law. The Doctor of Juridical Science (S.J.D.) is offered to a very limited number of candidates. Instead of supplying students with individual class rankings, GW Law recognizes academic performance with two scholar designations. The top 1–15% of the class is designated George Washington Scholars while the top 16–35% of the class is designated Thurgood Marshall Scholars. With more than 1,600 J.D. students enrolled in the 2013-2014 academic year, GW Law had the fifth largest J.D. enrollment of all ABA-accredited law schools. In the 2013–2014 academic year, 25.2% of GW Law students were minorities and 46.2% were female. Students enrolled in the J.D. program come from 206 colleges and 11 countries. The law school also enrolls students from approximately 45 countries each year in its Master of Laws and Doctor of Juridical Science degree programs. GW Law students can participate in 60 student groups. GW Law is located in the heart of Washington's Foggy Bottom neighborhood, across the street from the World Bank and International Monetary Fund headquarters, and a few blocks away from the State Department and the White House. The Jacob Burns Law Library holds a collection of more than 700,000 volumes. In 2000, the law school began a major building and renovation plan. The school has expanded into buildings on the east side of the University Yard. The law school currently occupies nine buildings on the main campus of The George Washington University. The law school's main complex comprises five buildings anchored by Stockton Hall (1924) located on the University Yard, the central open space of GW's urban campus. Renovated extensively between 2001 and 2003, these buildings adjoin one another, have internal passageways, and function as one consolidated complex. Three townhouses directly across from the main complex house the Community Legal Clinics, Student Bar Association, and student journal offices. For the class entering in the fall of 2018, 2,069 out of 5,065 J.D. applicants (41%) were offered admission, with 564 matriculating. The 25th and 75th LSAT percentiles for the 2018 entering class were 160 and 166, respectively, with a median of 165 (91.5th percentile). The 25th and 75th undergraduate GPA percentiles were 3.37 and 3.80, respectively, with a median of 3.71. In the 2018-19 academic year, GW Law had 1,525 J.D. students, of which 25% were minorities and 51% were female. In order to apply for the J.D. program, students must have taken the LSAT within the past five years and must submit a personal statement and at least one letter of recommendation. Applications are considered on a rolling basis starting in October and must be submitted by March 1. Since 2005, GW Law has had seven alumni serve as judicial clerks at the U.S. Supreme Court, one of the most distinguished appointments a law school graduate can obtain. This record gives GW Law a ranking of 14th among all law schools nationwide (out of 204 ABA approved law schools), for supplying such law clerks for the period 2005-2017. 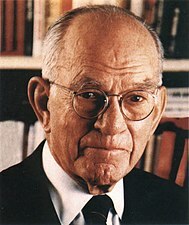 GW Law has placed 27 clerks at the U.S. Supreme Court in its history, including in the 1930s Francis R. Kirkham, later partner at Pillsbury, Madison & Sutro in San Francisco and then general counsel to Standard Oil of California, and Reynolds Robertson, who worked for Cravath, deGersdorff, Swaine & Wood in New York City, both co-authors of a seminal work on the Court's jurisdiction. According to GW Law's official 2013 ABA-required disclosures, 62.8% of the Class of 2013 obtained full-time, long-term, JD-required, non-school funded employment nine months after graduation. GW Law ranked 62nd out of the 201 ABA-approved law schools in terms of the percentage of 2013 graduates with non-school-funded, full-time, long-term, bar passage required jobs nine months after graduation. GW Law's Law School Transparency under-employment score is 8.6%, indicating the percentage of the Class of 2013 unemployed, pursuing an additional degree, or working in a non-professional, short-term, or part-time job nine months after graduation, and an additional 14.6% were in school-funded jobs. 93.7% of the Class of 2013 was employed in some capacity, 0.3% were pursuing a graduate degree, and 5.8% were unemployed. The main employment destinations for 2013 GW Law graduates were Washington, D.C., New York City, and Virginia. The total cost of full-time attendance (indicating the cost of tuition, fees, and living expenses) at GW Law for the 2018-2019 academic year is $88,340. GW Law's tuition and fees on average increased by 4.1% annually over the past five years. The Law School Transparency estimated debt-financed cost of attendance for three years is $328,263. The average indebtedness of the 76% of 2013 GW Law graduates who took out loans was $123,693. GW Law is ranked 22nd in the 2020 Law School Rankings of U.S. News & World Report. 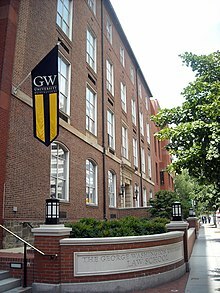 In the 2018 Law School Rankings, GW Law's part-time J.D. program is ranked second. The school is ranked fourth in intellectual property law, and seventh in international law. The National Law Journal ranked GW Law 21st in its 2014 Go-To Law Schools list, a ranking of which law schools sent the highest percentage of new graduates to NLJ 250 law firms. GW Law came in 29th in Above The Law's 2014 law school rankings. GW Law ranked 62nd out of the 201 ABA-approved law schools in terms of the percentage of 2013 graduates with non-school-funded, full-time, long-term, bar passage required jobs nine months after graduation. According to Brian Leiter's law school rankings, GW Law ranked 17th in the nation for Supreme Court Clerkship Placement between 2003 and 2013, 19th in terms of student numerical quality, and 16th for law faculties with the most "scholarly impact" as measured by numbers of citations. Faculty member Thomas Buergenthal, former President of the Inter-American Court of Human Rights. ^ a b c d e "History". GW Law. Archived from the original on 17 July 2015. Retrieved 14 July 2014. ^ "Message from the Dean". GW Law. Archived from the original on 2014-09-20. Retrieved 14 July 2014. ^ a b c George Washington University - 2016 Standard 509 Information Report (PDF) (Report). ^ a b c "Showing Our Strengths: The History and Future of GW Law". GW Law. Retrieved 14 July 2014. ^ a b "Academic Focus Areas". GW Law. Archived from the original on 16 July 2014. Retrieved 15 July 2014. ^ a b c "George Washington University". U.S. News & World Report. Retrieved 15 March 2018. ^ a b "Explore the Data Behind the Go-To Law Schools". National Law Journal. Retrieved 21 July 2014. ^ "A Legal Miscellanea". Retrieved 7 January 2017. ^ "GW Law: 150 Years of Making History, pp.12-13". Retrieved 11 June 2018. ^ "Probing the Law School's Past: 1821-1962". The GW and Foggy Bottom Historical Encyclopedia. Retrieved 14 July 2014. ^ Kwiecinski, Matthew. 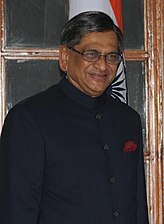 "Supreme Court justice joins faculty". GW Hatchet. Retrieved 14 July 2014. ^ Butler, Brandon. "Roberts judges moot court competition". The GW Hatchet. Retrieved 14 July 2014. ^ "Moot Court Competition". C-SPAN. Retrieved 14 July 2014. ^ "Kagan rules in annual moot court competition". The GW Hatchet. Retrieved 14 July 2014. ^ "Showing Our Strengths". Retrieved 7 January 2017. ^ "Alphabetical School List". American Bar Association. Retrieved 14 July 2014. ^ "Member and Fee-Paid Schools". The Association of American Law Schools. Retrieved 14 July 2014. ^ "Law School: Legal Education in America from the 1850s to the 1980s - Robert Bocking Stevens - Google Books". Books.google.com. Retrieved 2015-12-06. ^ "National University - GW Encyclopedia". Encyclopedia.gwu.edu. Archived from the original on 2016-01-03. Retrieved 2015-12-06. ^ "Required J.D. Curriculum". GW Law. Archived from the original on 16 July 2014. Retrieved 15 July 2014. ^ "Curriculum Overview". GW Law. Archived from the original on 21 July 2014. Retrieved 15 July 2014. ^ "GW-Oxford Summer Program". GW Law. Retrieved 7 January 2017. ^ "Joint Degree Programs". GW Law. Archived from the original on 27 July 2014. Retrieved 22 July 2014. ^ "GW Law at a Glance". GW Law. Retrieved 14 July 2014. ^ "S.J.D. Admissions". GW Law. Archived from the original on 25 July 2014. Retrieved 22 July 2014. ^ a b "Academic Recognition and Grade Representation Policy". GW Law. Archived from the original on 9 November 2014. Retrieved 21 July 2014. ^ "Publications". GW Law. Retrieved 22 July 2014. ^ "Fall 2013 JD and Non-JD Enrollment". American Bar Association. Retrieved 21 July 2014. ^ "Section of Legal Education - ABA Required Disclosures". American Bar Association. Retrieved 20 July 2014. ^ "Admissions". GW Law. Retrieved 21 July 2014. ^ "Students Organizations". GW Law. Retrieved 21 July 2014. ^ "DC & GW". GW Law. Retrieved 21 July 2014. ^ "Jacob Burns Law Library". GW Law. Retrieved 21 July 2014. ^ "LSAT Percentiles Table". Cambridge LSAT. Retrieved 21 July 2014. ^ a b "2018 Standard 509 Information Report" (PDF). American Bar Association. Retrieved 2018-12-12. ^ a b "J.D. Admissions Requirements". GW Law. Archived from the original on 20 July 2014. Retrieved 21 July 2014. ^ "Death: Francis R. Kirkham". Deseret News. October 27, 1996. Retrieved January 7, 2017. ^ Swaine, Robert T. (1946). The Cravath Firm and Its Predecessors, 1819-1947, Volume 1. Reprint 2006, The Lawbook Exchange, Ltd. p. xvii, n 279. ISBN 1584777133. ^ Robertson, Reynolds; Kirkham, Francis R; Wolfson, Richard F; Kurland, Philip B (1951). Jurisdiction of the Supreme Court of the United States. Albany: Matthew Bender. ISBN 0598833137. Retrieved January 7, 2017. ^ a b c "Employment Summary for 2013 Graduates" (PDF). GW Law. Archived from the original (PDF) on 14 July 2014. Retrieved 14 July 2014. ^ a b Leichter, Matt. "Class of 2013 Employment Report". The Law School Tuition Bubble. Retrieved 20 July 2014. 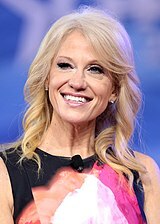 ^ "George Washington University Profile". Law School Transparency. Retrieved 20 July 2014. ^ "Employment Summary for 2013 Graduates" (PDF). GW Law. Archived from the original (PDF) on 2014-07-14. ^ "Cost of Attendance". GW Law. Retrieved 8 May 2018. ^ a b "George Washington University Profile, Costs". Law School Transparency. Retrieved 8 May 2018. ^ "The Rankings". Above The Law. Retrieved 21 July 2014. ^ "Supreme Court Clerkship Placement, 2003 Through 2013, 2013". Brian Leiter's Law School Rankings. Retrieved 21 July 2014. ^ "2010 Ranking of Student Bodies By Numerical Quality". Brian Leiter's Law School Rankings. Retrieved 21 July 2014. ^ "Top 70 Law Faculties In Scholarly Impact, 2007-2011". Brian Leiter's Law School Rankings. Retrieved 21 July 2014.